Mr Green is the urbane legend who has brought a bit of class to the online gambling sector in the last half a decade or so. Never seen without his velvet bowler hat, this debonair sophisticate is a man of high taste – and his online casino reflects that. He hosts some exclusive parties where the presents are on him while offering an incredibly rich and varied selection of the very best games. It’s little wonder that Mr Green is one of the most popular and successful sites in operation. It’s had a few minor revamps in its time, but Mr Green Casino has always maintained a strong identity. The man that gives the online casino its name appears regularly, frequently sporting his three-piece suit and armed with an umbrella. The site is exceptionally slick, with bold images that don’t distract from the user experience. It’s a great example of a casino that’s created a strong, recognisable brand without resorting to obvious gimmicks. It’s a perfect blend. The Mr Green Casino homepage links directly to the site’s games via the top menu. 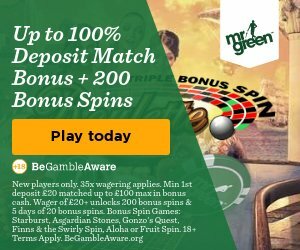 Scroll down the page, and you’ll also detail of the Mr Green welcome bonus, some FAQs and information regarding Mr Green’s unique Green Gaming policy. 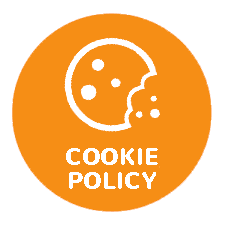 The policy documents their attitude to responsible gambling and provides a neat example of the casino’s plain talking approach. There’s loads of information at Mr Green Casino, but none of it is designed to confuse. The clearly written content at Mr Green is just one way that the design team have made the site as user-friendly as possible. UX is a big reason why this casino has made it to the top of the tree, but as daft as it sounds, they’ve also proved that it’s not that difficult. They merely have a large variety of deposits and withdrawals methods including, debit cards and bank transfer. Then they explain their promotions, approach to gaming and critical features as unobtrusively as possible. It’s a simple but winning formula. The only slight downer for us is that you have to scroll down to the very bottom of the page to find simple one-click access to some of the important pages. The player account section is straightforward to use and a highlight for us. Mr Green is a pretty likeable bloke, the sort that people like to hang around with. Perhaps that best explains why he has managed to convince 20 different software providers like Net Entertainment (aka NetEnt) and Evolution Gaming, to lend their expertise to his game selection. Titles that includes some of the biggest names as well as smaller, boutique design studios, so you’re hardly lacking in the variety stakes. You can view all the games as one big family, or filter them down to easily find the ones that suit you best. If you fancy your chance of becoming the next millionaire, the jackpot section is worth a look because you’ll find a slab of the best big-money slots including the record-breaking progressive jackpots Mega Fortune and Mega Moolah. The catalogue is regularly refreshed, and new games from the likes of Netent are up and available on the day of release. You will find slots like Arabian Nights, Big Bad Wolf, Twin Spins, Book of Dead Typically, Mr Green will offer a tantalising little bonus on these new releases, so the promotions page is always worth a little gander. Slots are understandably the key currency, but they do not take such precedence that other types of game are neglected. There’s a ripe old live dealer casino, plus plenty of table games and poker offerings. The live dealer games list is highly impressive, not just the number of live casino games but also the type of games. You can play a wide variety of table games like London Roulette, Lightning Roulette, Live Blackjack and the Dream Catcher wheel. They also beam live casino floors from Malta, London Hippodrome Roulette, Bucharest, St Vincent and Batumi. Your Mr Green sign up offer is a snazzy two-piece, just like the man’s velvet suit. If features a 100% bonus, a bundle of 200 spins. Let’s start with the 100% deposit match bonus up to £100 with your first deposit. In layman’s terms, that means they will double your cash, so deposit £20, and you’ll end up with £40 to play with; pay in £100, and you’ll have 200 smackeroos to get you going. The bonus cash is subject to a middling x35 wagering requirements before you can withdraw these as actual winnings. Additionally, if there is no maximum value specified for a bonus, it will be £100. Naturally, there are a few terms and conditions you should check before committing any real money. The terms and conditions link is found on the top right corner of this review. SPORT: Bet £10 (3/1 min odds) get a £10 Acca Free Bet. LIVE CASINO: 100% Matched Bonus up to £100 in LIVE Casino! We’re in a bit of a huff that this online casino abandoned its pledge to give all newly registered players some no deposit free spins. But we understand why, and Mr Green does make up for it when you show a bit of commitment and start playing. Instead, wager your first £20 to release whopping 200 bonus spins on a choice from Starburst, Asgardian Stones, Gonzo’s Quest, Finns & the Swirly Spin, Aloha or Fruit Spin. WHY BECOME A REGULAR PLAYER AT MR GREEN? We’re rather set trends than follow them here at 777 Casino, but sometimes you have to follow the crowd. Like the Pied Piper, Mr Green has attracted a considerable following by playing a mesmerising tune featuring the best games, best customer service and bags of innovation. The bonuses come thick of fast, with your regular casino goodies like free spins drops and cash back offers joined by big prize giveaways and tournaments. Success has bred success and seen it become one of the richest brands on the market. Being benevolent Swedes, the Mr Green team like to give back to their players. It would be remiss of us not to mention the Mr Green mobile site here as well. Granted, a lot of online casinos have worked hard to create the perfect iOs and Android mobile app platform over the years, but few have nailed it quite like the man in the hat. The Mr Green mobile casino has won plenty of awards for good reason. It’s utterly intuitive and maintains nearly all the functions of the main site, which is more unusual than you think. Even live chat is available. The growth in the mobile market has been swift and pronounced so it took the true visionaries to remain at the front of the queue. Mr Green’s team saw the opportunity early, sprinting neck and neck alongside mobile specialists like LeoVegas in the race to create the best mobile app for Android, iPhone and iPad. The burgeoning Mr Green awards cabinet proves that the hard work has well and truly paid off. Players and experts regularly rate this the best cross-device mobile casino, and it’s not difficult to see why. They have beautifully reinvented their desktop site for the smaller screen, incorporating loads of functionality including a rare appearance for live chat across all devices, deposits/withdrawals and some beautiful design touches. They’ve topped it off with one of the most impressive mobile games selections you’ll find anywhere. Most people play through a browser, but there’s an app you can download if you prefer. Everybody seems to like Mr Green, and on this occasion, we’re no different. It’s hard to find fault with an online casino that boasts a strong brand, licensed with the UK Gambling Commission, an exemplary approach to customer support, big bonuses, loads of slots, a host of industry awards and one of the best mobile casinos around. It’s been one of the great successes of the industry, and it’s well deserved. The only negative is that third-party audit is not available for reading on the site. We’re always impressed by the constant tweaks and revamps because it proves that the team aren’t basking in their popularity and remain keen to improve. We’ll be sticking around to find out what comes next. Be the first to review and rate Mr Green!